Years ago my mom gave me an old yellow recipe holder filled with recipes. Some of the recipes I have made more times than I can remember. Her chinese cabbage salad gets made quite regularly. But last week I was flipping through it looking for some inspiration when I came across her tomato sauce recipe. Now I can't remember my mom making this in recent years but I do recall the flavour. Now that my 21 tomato plants are almost 5 feet tall with little green tomatoes all over them I am starting to plan ahead to the days when they are ripe; thinking about what to do with them. I know that tomato jam will be on that list, but will I make tomato sauce. I sure I hope I find the time. But at the very least I thought I would share her recipe with those of you who might want to find a use for their very own tomatoes. In a large stainless steel pot over medium heat, bring the tomatoes to a boil. Make sure to stir them frequently so they don't stick to the bottom. Reduce and simmer for 15-20 minutes or until the tomatoes are nice and soft. 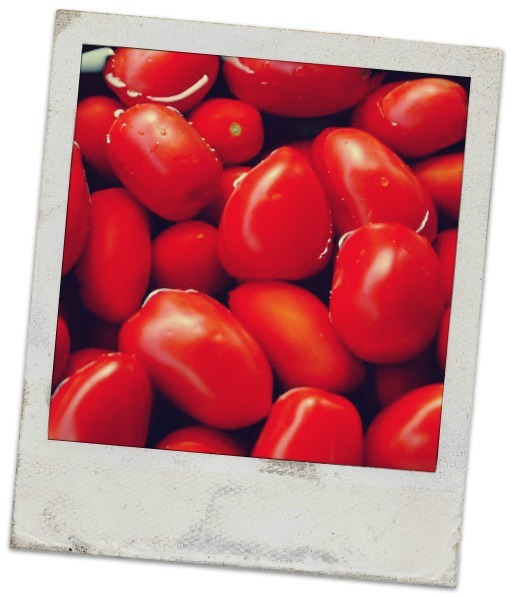 Press the tomatoes through a food mill and discard the seeds and skins. Return the tomatoes to the pan and stir in the salt. Over medium heat cook the remaining pulp, continuing to stir on a regular basis until they are at your desired consistency. The hand written note on the recipe said that this took my mom about an hour when the tomatoes were juicy. Remove it from the heat and then stir in the lemon juice. Ladle the sauce into your sterilized and warm jars, leaving 1/2" headspace. Remove trapped air bubbles, wipe the rims and screw on the lids. Put into the hot water bath for 40 minutes. Remove and let cool. Store in a cool, dark place.